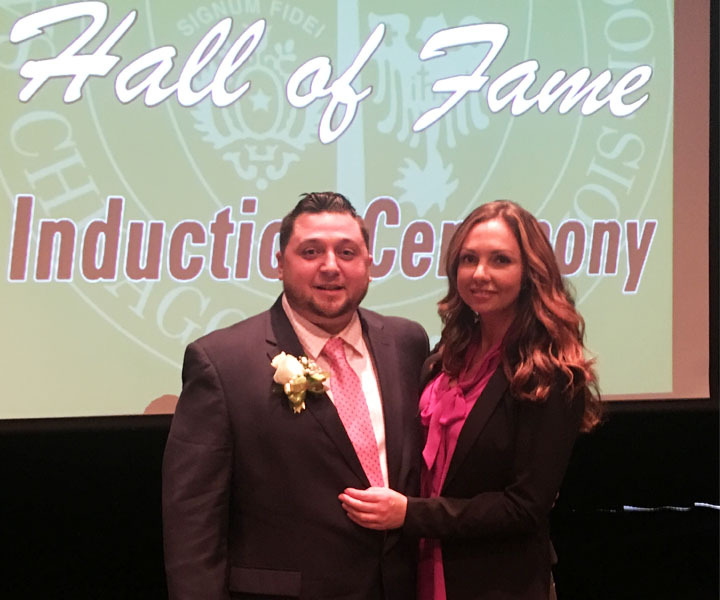 Congratulations to Ridgewood High School teacher & Head Boys Basketball Coach, Chris Mroz who was recently inducted into the Saint Patrick High School Athletic Hall of Fame. Coach Mroz was a standout prep basketball player at St. Patrick's graduating in 2002 before playing collegiately at Bradley University and the University of Missouri-St. Louis. Coach Mroz took over the Ridgewood Basketball program in 2009 and has led the program to three Regional Championships in 2011, 2012 and 2016 as well as a Sectional Championship in 2016. Congratulations Coach Mroz, well deserved!